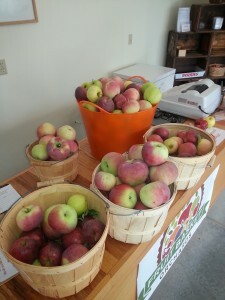 That’s right, we invite you to come pick your own fruit right from our trees! We’ll show you where to pick, what to pick, and how to pick and answer your questions about our farm and what it takes to grow great fruit. We’ll even provide the containers for picking. And please bring your kids! School groups: We have had several school groups visit and everyone had a great time. One group even used the apples they picked for a fundraiser at their school. If you would like to arrange a school trip or have some questions in this regard, please call or email us.